1. 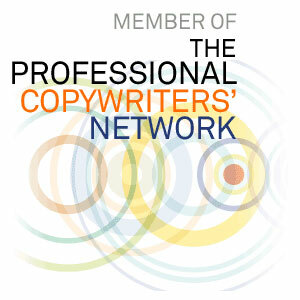 Do I really need a copywriter? If you needed help with your financial affairs, would you hire an accountant? If you had a legal matter that needed resolving, would you talk to a lawyer? If you had a health issue, would you go and see a doctor? In most cases, the answer is yes. That’s because these people are specialists. You can try and handle the matter yourself, but the results will be less effective at best, potentially damaging at worst. The same logic applies here. You could write your own website, your own brochure, press release or sales letter, but you might not get nearly as much attention, recognition or sales as if you hired a copywriter. As a copywriter, I specialise in connecting with your audience, getting inside their heads and persuading them to buy what you’re selling — whether it’s a product, service, brand message or point of view. I have the skills to make you stand out. It’s also more cost-effective to hire me to write for you, instead of you sitting there wasting your billable hours searching for the right words. For ongoing projects, I normally charge my hourly or day rate and will provide an initial estimate at the start of the project based on how long I think the work will take. For shorter projects, clients typically prefer fixed fees. Once I know more about your project, we can discuss what’s likely to work best for both of us. 4. What’s included in your fixed fees? Fixed fees include all preparation, research and correspondence. They also include all reasonable revisions and tweaks (maximum two drafts). 5. How quickly can you do the work? As a freelance copywriter, I do not work 9 to 5. Rather, I work according to my clients’ needs. If you give me a deadline, I am committed to meeting it. If you need the copy in a rush, I can normally turn the job around in a few hours. 6. How can I hire you, and what is the process? Just send an email to cr_berry@outlook.com or give me a call on 07411 331721 and I’ll have a chat with you about your project. I will send you a Project Planner by email and advise you that by replying and asking me to get on and write your copy, you acknowledge acceptance of my terms and conditions. If I need further information once I receive the Project Planner back from you, I will call or email you. I would advise filling out the Project Planner with as much detail as possible, as this saves time for both you and me.